Joseph began his career in the 1970's cutting as a barber/stylist in San Francisco, California, where he learned the basics of hairdressing and the art of barber-styling. After 10 years in San Francisco he relocated to Manhattan where he continued his career for the next decade. While in The Big Apple, occasionally assisting on test shoots with photographers, doing hair for actors on movies sets, and working in salons with hairdressers from all over the world; Joe was able to absorb a great deal of experience in the art of doing hair. Studying technique from trained professionals, he expanded into hair color. In the latter part of the 1990's Joseph relocated to our nation's capitol. While in Washington DC he fine-tuned his skills as a hair colorist, event stylist and makeup artists. Joe has teamed up with others to work on the hair for the Tony Awards at Radio City, New York; The Washington DC Memorial Day Concert; The Washington DC July 4th Celebration; and Christmas in Washington. After 9/11 he left the big cities and moved to Louisiana where he opened his shop called Be Hair Now. 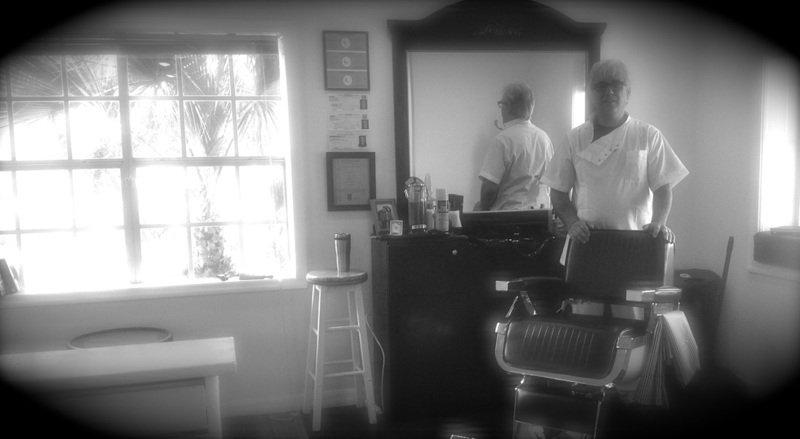 For the past 3 years Joe "Rocco" has been barbering in his now beloved St Augustine.